Looking back on the myriad of ways that the genre now known quite loosely as ‘bass music’ has mutated, one of the key figures in its evolution would have to be Bristol’s Rob Ellis, better known simply as Pinch. His fascination with what the outer limits of the dub sound can achieve, has made him a distinct figure within the fluid group of like-minded dubstep musicians that defined the so-called Bristol sound. The mix itself combines all of Pinch’s loves, a blend of both melodic mood-pieces, driving dub-techno and the odd mid-range bass wobble masterfully planted to maximum effect. This is all peppered through in post-production with little vocal samples, mostly supplied by Bristol MC Jakes, that fully form the mix, like the grain in wood, supplying body, making it more than just a sum of its constituent parts. 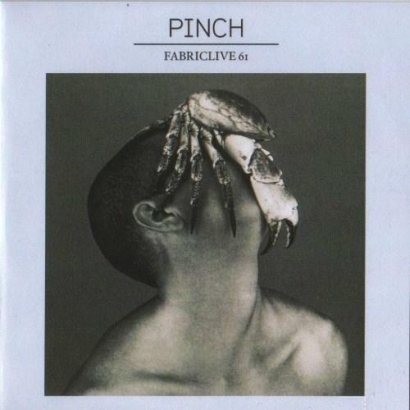 Bug out to FABRICLIVE 61: Pinch from Fabric London on Vimeo. Future Classic: TRIBE ft Joan Belgrave "Where Am I?"